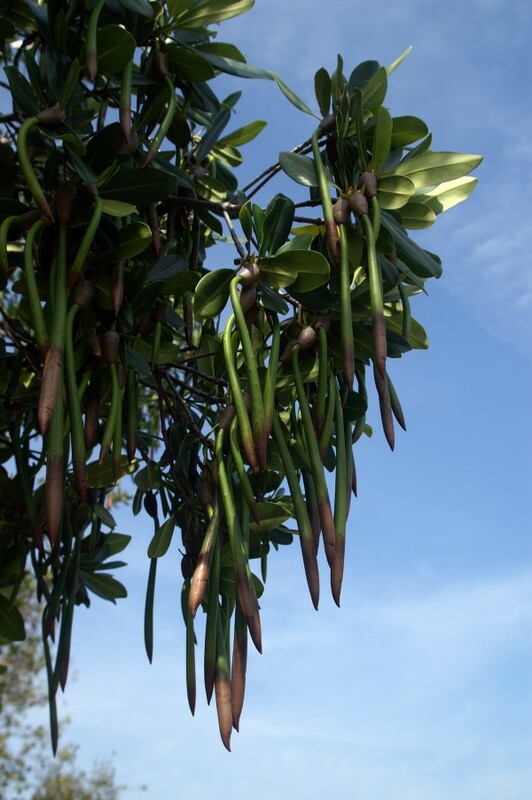 Red Mangrove propagules hang from the trees in clusters. When the propagules drop, they float vertically in the water until they become stuck in the mud, where they sprout. This year appears to be an excellent year for mangrove reproduction. This entry was posted on Wednesday, June 6th, 2012 at 11:49 am. 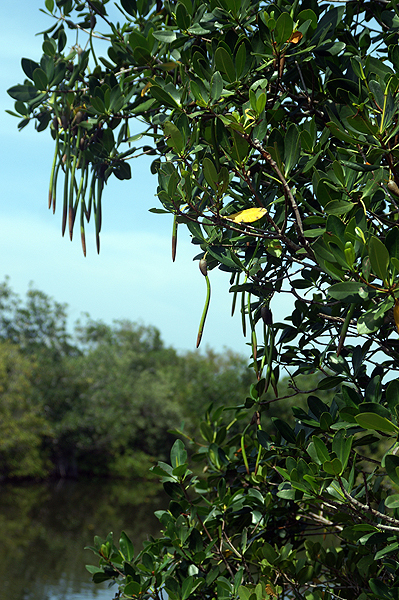 It is filed under Environment, New Images and tagged with green, hanging, Red mangrove, reproduction, Rhizaphora mangle, tree, water. You can follow any responses to this entry through the RSS 2.0 feed.